Welcome to McShane Plumbing & Gas Services! We’re committed to ensuring your reno vision remains clear with our professional, personalised service. Keep your peace of mind. Looking for a Local Plumber in Rockingham, Mandurah or Perth? Welcome to McShane Plumbing and Gas! At McShane Plumbing, we understand leaks, damages and maintenance can be disruptive to your lifestyle and annoying to deal with, even at the best of times. That’s why we’re dedicated to providing the highest standard of plumbing services, leaving you with more time, an easier life, and best of all – peace of mind. With over 15 years experience under our belt, there’s nothing we can’t do to ensure your life stays smooth. Our plumbers in Fremantle, Rockingham, Mandurah or Perth are licensed and insured. We provide reliable, professional plumbing and gas services for all your commercial and residential needs. We understand plumbing and gas emergencies can happen at any time, which is why our company is available 24 hours a day, 7 days a week, and every day of the year. No job is too small or too big for us; we enjoy the challenge and won’t rest until the job is done to our renowned high standard, leaving you free to get on with the rest of your day. With a quick response to your call, professional work, and competitive pricing, McShane Plumbing & Gas is all about making life how it should be: Good! Our reliable team of plumbers in Mandurah, Rockingham and Perth arrives on time, prepared and provide you with a direct quote upfront. We’re happy to help you out with any plumbing, gas, renovation or hot water unit problems or enquiries you may have. 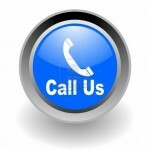 Contact us today- we are just a phone call away!